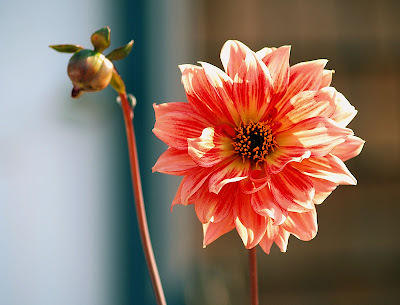 For this week, I'm showing off the newest dahlia to bloom in my garden. Enjoy! Wow I love the color and Dahlia is my favorite flower too. Wow. This is stunning! Beautiful macro and beautiful flower!! Love love love dahlias. i have one for my macro shot too. really pretty one you have there. Oh it's gorgeous and beautifully photographed! Lovely light and details in this macro! You had good lighting- makes your dahlia look stunning. Beautiful shot. Love the light!